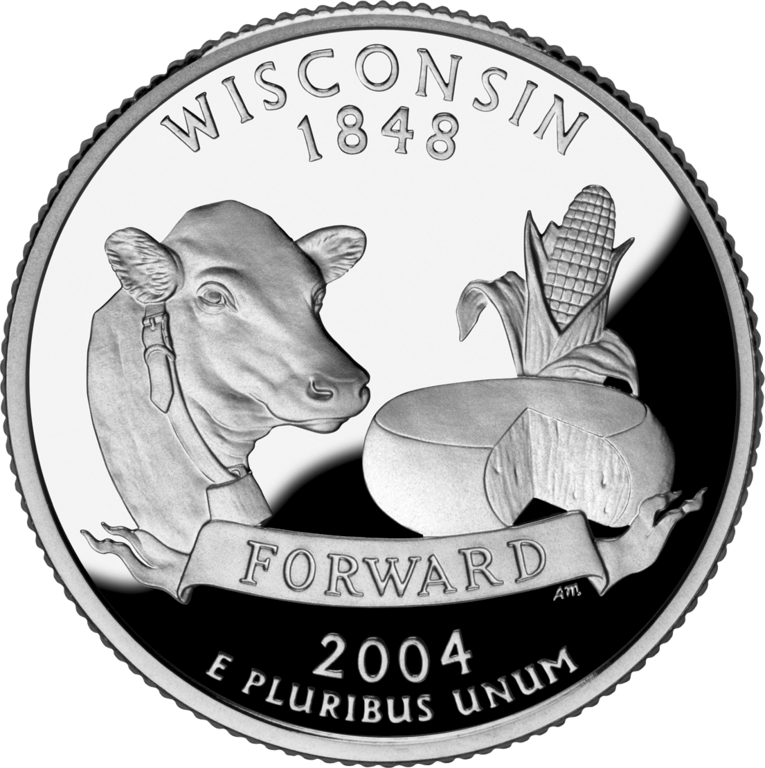 The US mint released the Minnesota Quarter April 4, 2005, the 32nd release of the 50 State Quarters program. 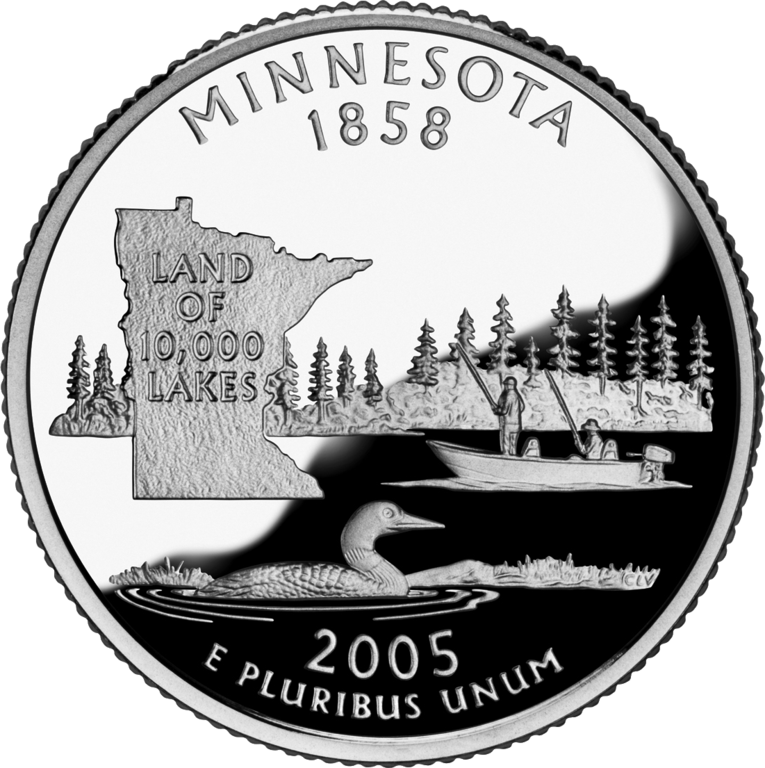 The quarter portrays the Common loon (Minnesota’s state bird), fishing, and the state map with its slogan on the coin’s reverse. 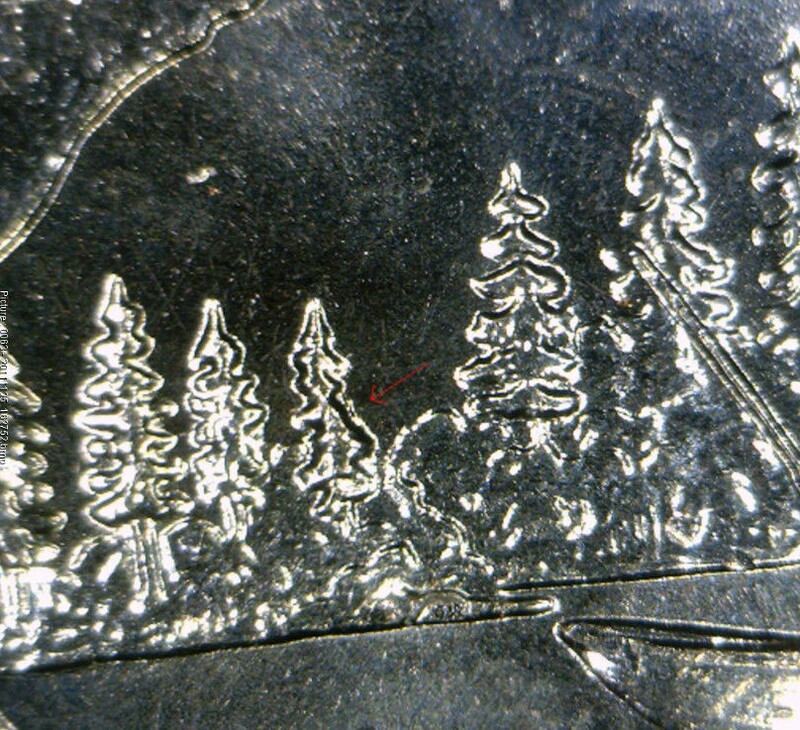 The Minnesota State Quarter was plagued with several Double Die Errors during its production, most notably the “Extra Tree”. 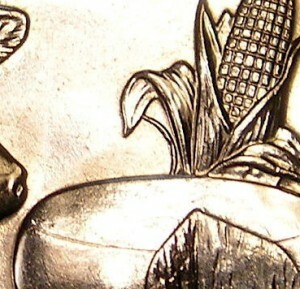 The errors are mostly in the Philadelphia mint however there are also some varieties from the Denver mint. 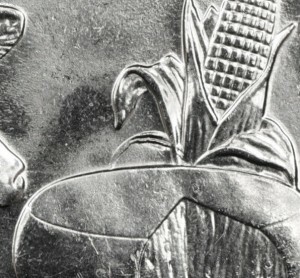 The US mint released the Homestead Quarter April 19, 2010, the 1st release of the America the Beautiful series. 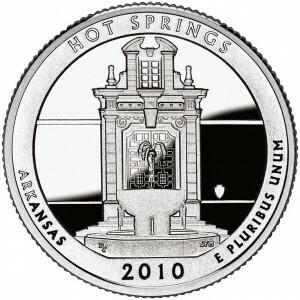 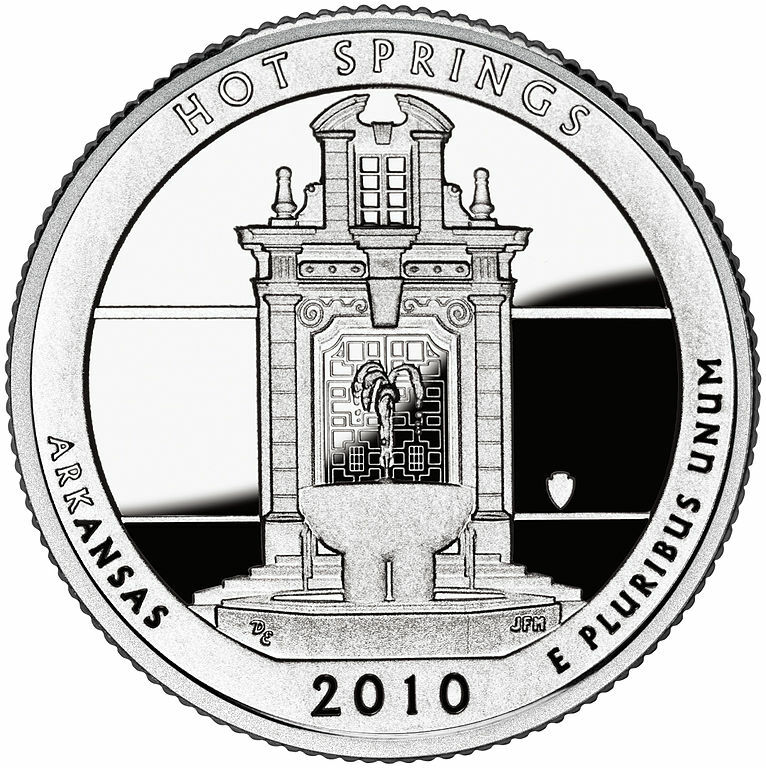 The quarter portrays the Hot Springs National Park on the coin’s reverse. 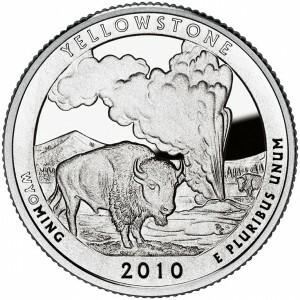 The US mint released the Yellowstone Quarter June 1, 2010, the 2nd release of the America the Beautiful series. 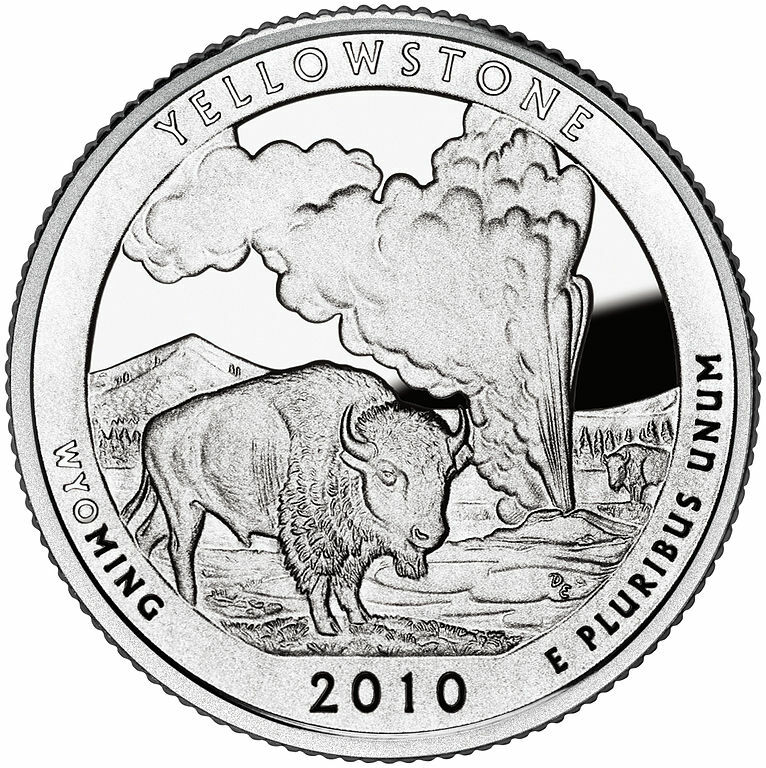 The quarter portrays the Yellowstone National Park on the coin’s reverse. 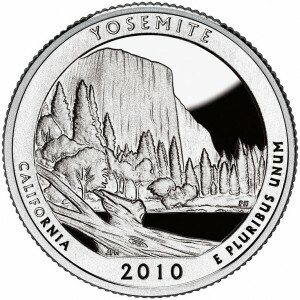 The US mint released the Yosemite Quarter July 26, 2010, the 3rd release of the America the Beautiful series. 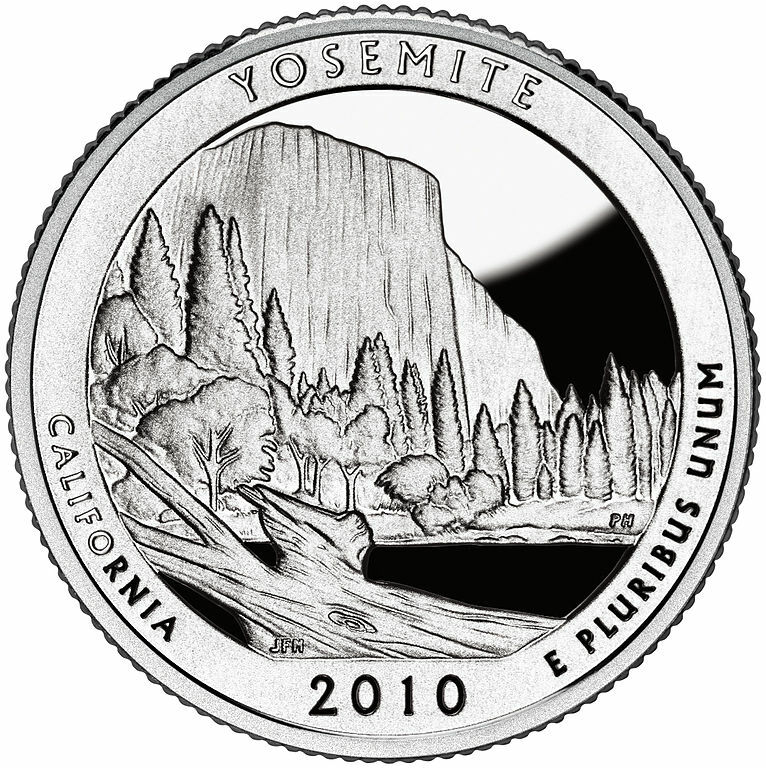 The quarter portrays the Yosemite National Park on the coin’s reverse. 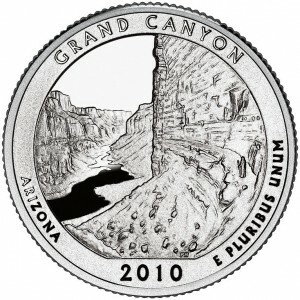 The US mint released the Grand Canyon Quarter September 20, 2010, the 4th release of the America the Beautiful series. The quarter portrays the Grand Canyon National Park on the coin’s reverse. 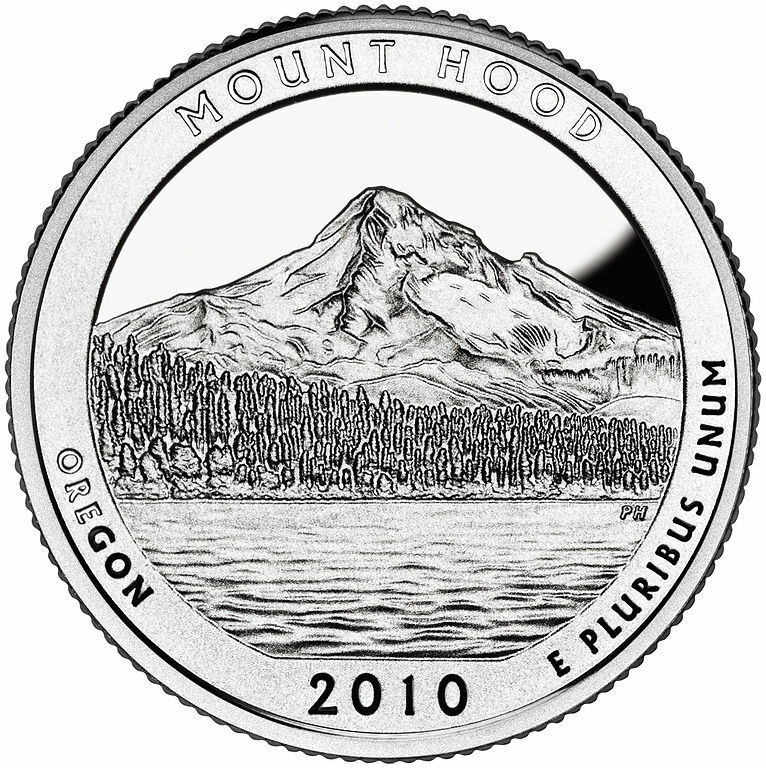 The US mint released the Mount Hood Quarter November 15, 2010, the 5th release of the America the Beautiful series. The quarter portrays the Mt. 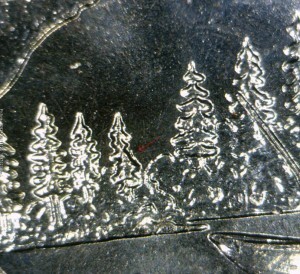 Hood National Forest on the coin’s reverse. The US mint released the Gettysburg Quarter January 24, 2011, the 6th release of the America the Beautiful series. 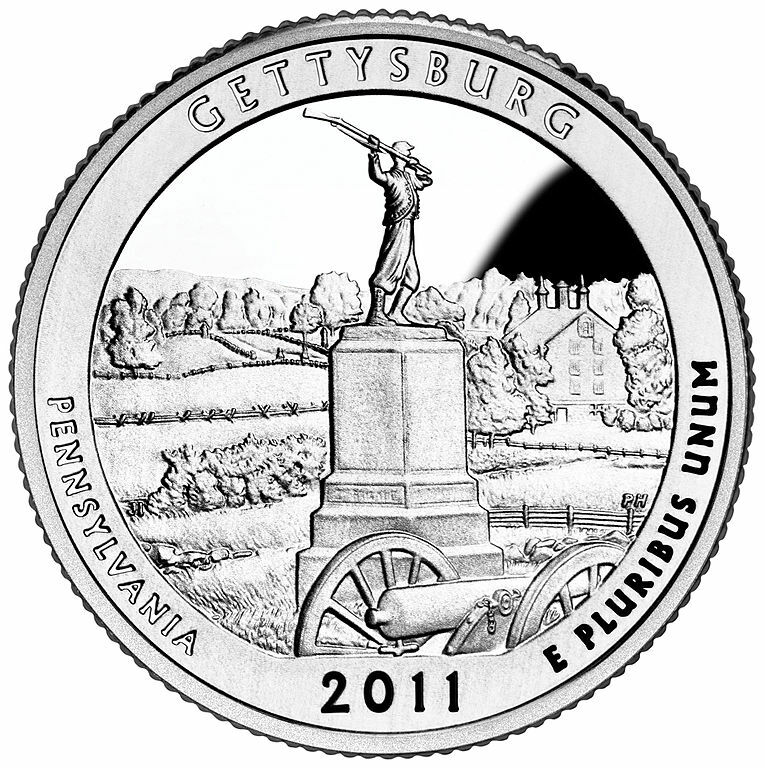 The quarter portrays the Gettysburg National Military Park on the coin’s reverse. 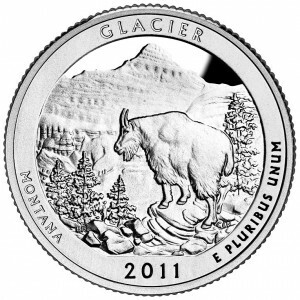 The US mint released the Glacier Quarter April 4, 2011, the 7th release of the America the Beautiful series. 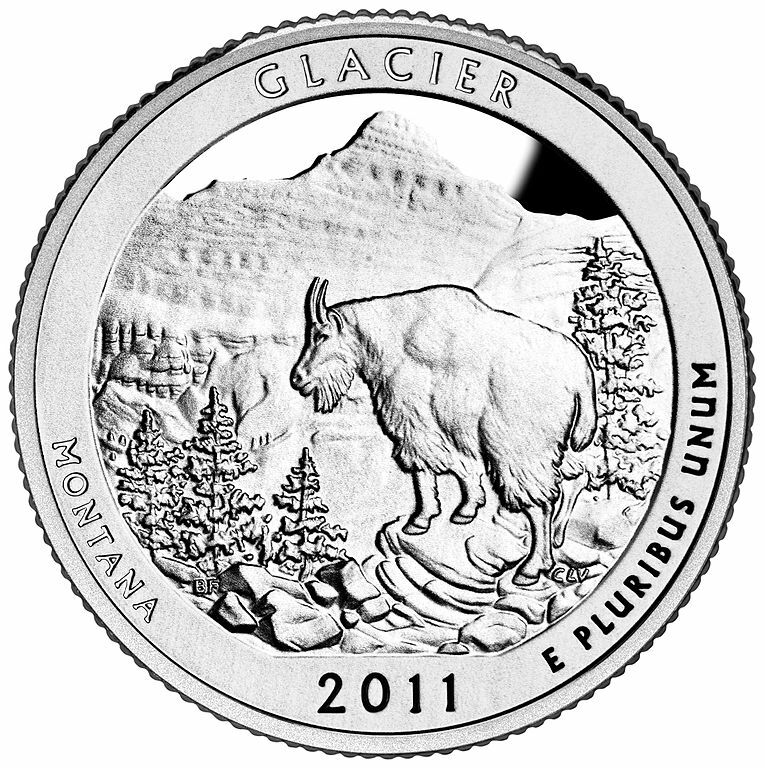 The quarter portrays the Glacier National Park on the coin’s reverse. 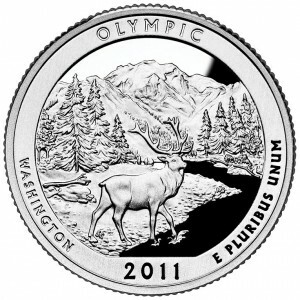 The US mint released the Olympic Quarter June 13, 2011, the 8th release of the America the Beautiful series. The quarter portrays the Olympic National Park on the coin’s reverse.